Ogun state Governor, Ibikunle Amosun, on Friday finally debunked the rumour that he impregnated a National Youth Service Corps (NYSC) member, who reportedly had twins for him less than a year ago. Amosun revealed that the news gained so much traction, that his mother-in-law called him to confirm. 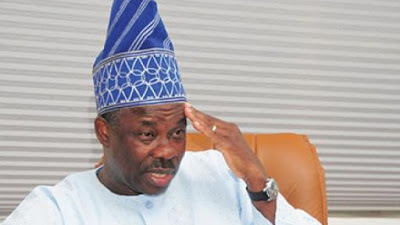 Amosun stated that he has been married to his wife, Mrs. Olufunso Amosun, in the last 26 years and had never kept a girlfriend, let alone having one that delivered twins for him. He also vowed to fish out those peddling rumours and falsehood against him, threatening to send them to jail.